The salmon and berries that once nourished a network of tribes in California’s Klamath Basin are now scarce. This effort hopes to reverse the trend. The Native American tribes that live in the region adjacent to the Klamath River, which flows from Southern Oregon into the northern part of California, once subsisted sustainably off the land. They fished for salmon in the river; hunted for elk and deer in the forest; and gathered nuts, acorns, and berries. But with colonization, came upheaval. Today, the area called the Klamath Basin is home to upwards of 10,000 Native Americans, members of the Karuk, Yurok, and Klamath tribes among them. And the foods of their ancestors aren’t always easy to come by, nor are the food traditions as present as they once were. Now, Sowerwine and others are trying to ensure these native foods are restored for younger generations through a food security grant. 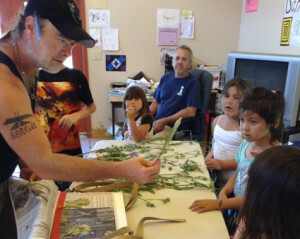 The project is known as the Klamath Basin Tribal Food Security Project. 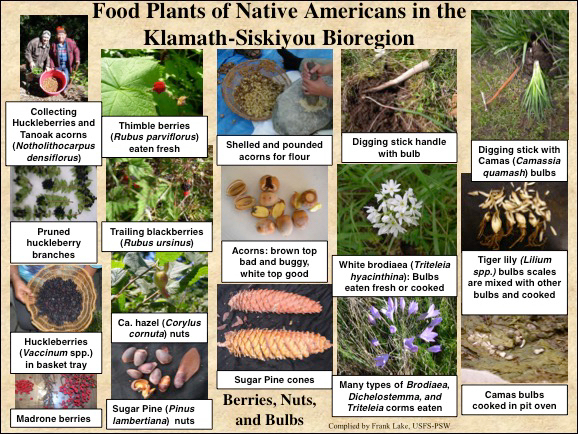 Sowerwine and her husband, Tom Carlson, a professor in the Integrative Biology Department, are working with other Berkeley faculty and graduate students, and leaders in the Klamath Basin tribal communities, to identify the major barriers to native foods in the region. 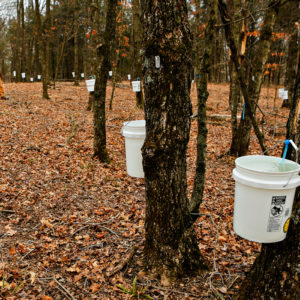 Now in its fourth of 5-year $4 million grant from the U.S. Department of Agriculture, the group is seeing real results. 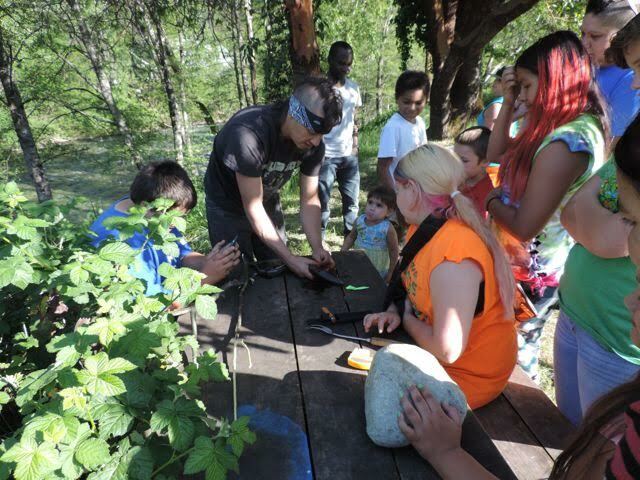 So far, over 4,000 people have taken part in such activities as community garden workshops surveys, focus groups, policy discussions, food production workshops, native food camps, and after-school programs, according to Sowerwine. In one year alone, nearly 400 workshops were held bringing elders knowledgeable in subsistence skills together with tribal youth interesting in learning butchering, canning, baking, and fermentation skills. There has been “a really strong retention of knowledge and wisdom around landscape management,” among elders, said Sowerwine, especially when it comes to such practices as harvesting food, prescribed burns of the forest, and basketry. Native foods are not only important culturally to the tribe, but that they have much more nutritional value as well. 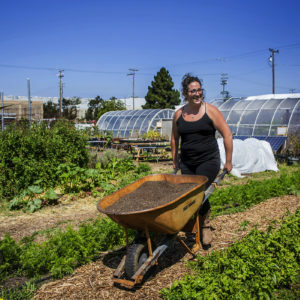 “Food is deeply connected to place and is tied to the landscape,” said Sowerwine. At a salmon and acorn camp, youth learned how to catch, strip, and smoke salmon, and how to process acorns. And as part of an orchard revitalization project, formerly abandoned orchards are growing again, as tribe members have been trained in rehabilitating them by grafting and pruning the trees. Of course, when it comes to such sensitive cultural work, nothing is simple. A member of the Karuk tribe, Ron Reed is a cultural biologist and a co-founder of the Collaborative. From the outset, he said, he knew that earning the trust of people in the tribe would be a major challenge, no matter how well-intentioned the Berkeley team was. At first, “the tribal government was not really open to opening up their archives to strangers, as they didn’t know where this information would be used, and where it would go,” he said. Gaining their trust took some convincing. And while improvements can be seen, it will take much more than $4 million of federal money and outside experts to reverse centuries of laws preventing the Native American tribes from accessing their ancestral lands, said Reed. 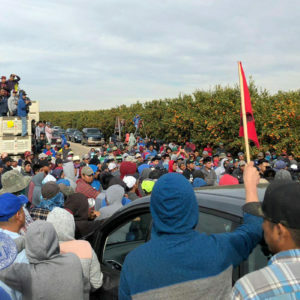 Furthermore, he said, there is always the inevitable culture-clash between Western, more modern methods of land management, and those used by indigenous peoples for thousands of years. For instance, the tribes used to rely on prescribed burns to manage the forest, which would remove enough undergrowth to allow nuts and berries to grow, but the government outlawed this practice. One positive outcome of the grant is that Reed was invited to be part of an advisory council as an expert on traditional knowledge, and how to apply it to the management of national forests—a first for a Native American, he noted. “The goal is to put our forest in a state of fire resiliency that produces traditional foods and manages the ecosystems,” he said. But in most cases, the outcome of the work will take years to assess. Less than five percent of the fish that used to spawn in the area are returning, due to hydroelectric dams that were built on the Klamath River. Due to the grant, there’s a good chance these dams will be removed. But until they are, “the lack of fish has had a tremendous impact on our access to food,” said Reed. When the salmon are present, processing them has allowed some tribal members to go back to the barter system in a limited way. Photo credits, from top: Megan Mucioki; Megan Mucioki; Frank K. Lake, U.S. Forest Service and Karuk Tribe. The Elders of the Klamath tribe Not only condone SPOTLIGHTING deer, elk, and other traditional game, they encourage killing all of the game, to antagonize the "whites" that hunt ethically. Not one mention of this in the article. By the way, I have yet to see an oak tree at this elevation. Very interesting. I note that the Miss Navajo Nation contest includes a sheep butchering portion and Q&A in Dine about the techniques being used. Keeping skills alive is vital! Good job! To have a salmon based culture, there must be salmon. But up to 100% of juvenile salmon are dying before they can reach the ocean. Scientists say that poor water quality and lack of spring flows are two reasons these natural diseases have gone epidemic. Yet the Karuk and Yurok Tribal Governments support dam and water deals that will continue this situation. Therefore, the excellent food security effort needs to also focus on getting tribal governments in the Basin to insist that they adopt positions that will restore salmon including clean up of Keno Reservoir water quality (transfered to the feds under the KHSA Dam Deal) and higher spring flows (denied under the KBRA Water Deal).